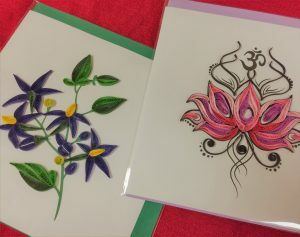 Among the great variety of cards we carry, we source these especially unique cards, lovely to send to someone, but also can be framed and hung in their own right. We just received some new ones we think you will love too. Quilling has a long tradition, originally credited in Egypt, and having made its way through Europe and especially Asia. 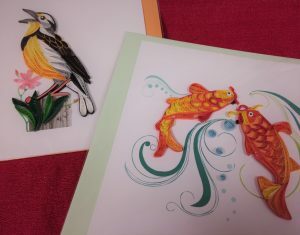 These cards are handmade by women in Vietnam, providing a stable cottage industry. The company recently achieved Fair Trade Certification from the Fair Trade Federation, which holds the standards which we at Global Village believe in and aspire to in business. 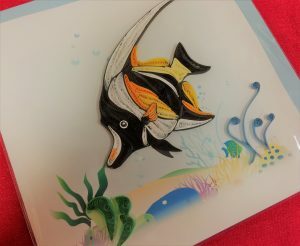 Learn more about this special art form and company at www.quillingcard.com.